Water and Wastewater Treatment Online reports that Welsh Water Infrastructure – a part of the not-for-profit Glas Cymru group which includes Dŵr Cymru Welsh Water – has taken ownership of a food waste anaerobic digestion (AD) and composting plant in Cardiff as part of its plans to further develop its waste and renewable energy business. AJ Tensile Biogas Systems designed, project managed and installed the fabric digester roofs, which were manufactured by sister company AJ Tensile Manufacturing Ltd. The plant was previously owned by Kelda Water Services, is located within the company’s Cardiff Wastewater Treatment Works in Tremorfa, and already supplies the site with renewable energy. 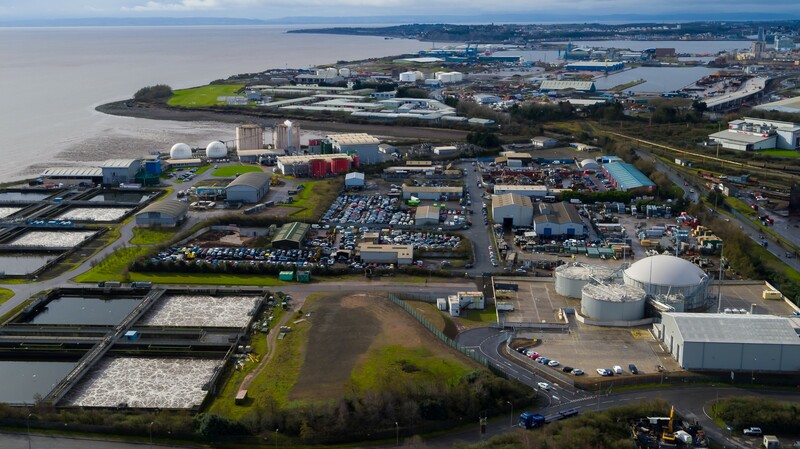 With this investment in food waste digestion on the site, around 50% of the energy used by Cardiff Wastewater Treatment Works is now generated by the company through sustainable, renewable generation. The major advantage of anaerobic digestion is that methane, which is produced naturally when the food waste breaks down, is captured and used to generate renewable electricity and heat rather than allowing it to escape to the atmosphere from landfill sites. This latest development comes as Welsh Water continues to expand its use of renewable sources across wind, solar, and anaerobic digestion facilities. Around 23% of the energy currently used by the company comes from renewable sources – meaning it now produces more clean, green energy than ever before. With an average energy bill of around £41 million a year, Welsh Water plans to increase the amount of renewable energy it generates to 30% by 2020 which will help the company reduce its costs and keep bills lower for customers. Welsh Water Infrastructure Managing Director, Sonia McCorquodale, said: “Welsh Water is one of Wales’ largest energy users as the company uses a lot of energy to pump and treat water and wastewater. This latest investment will help the Glas Group to generate more renewable energy as we play our part in helping to manage the effects of climate change by becoming energy neutral by 2050.